Elegantly simple, this bodice was sewn by hand and with a chainstitch sewing machine. 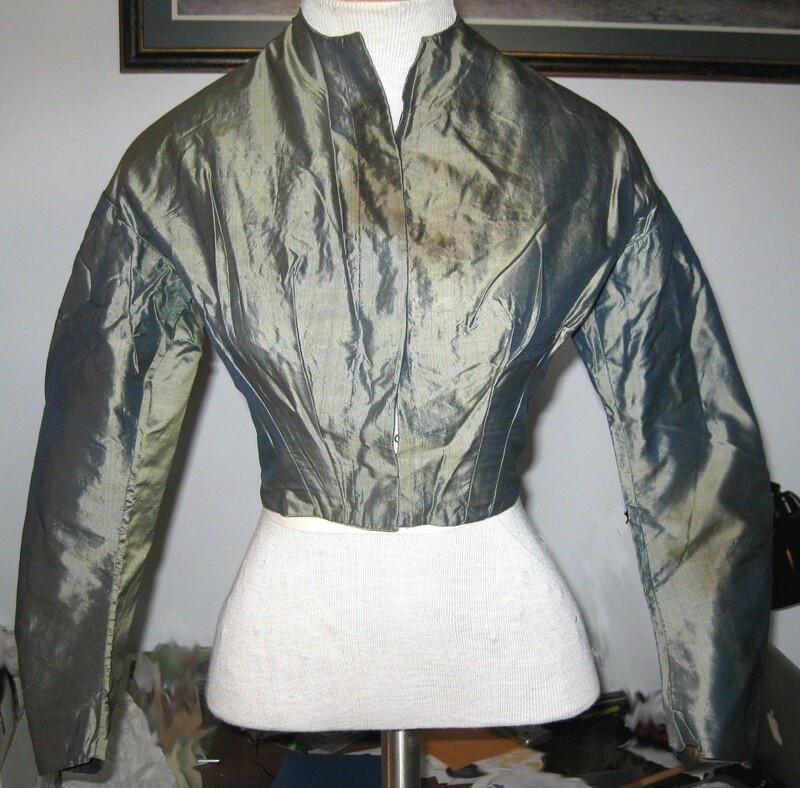 It is boned in the short bust darts and side seams and fastens up the front with hooks and eyes. It is piped around the neck, armscyes and waist with brown polished cotton lining that has small pieced sections of brown twilled cotton. Condition: There is a very small hole near the top of the right sleeve, sweat stains under the arms and other stains that are emphasised by the camera flash. I'm thinking mid 1860's for this lovely. 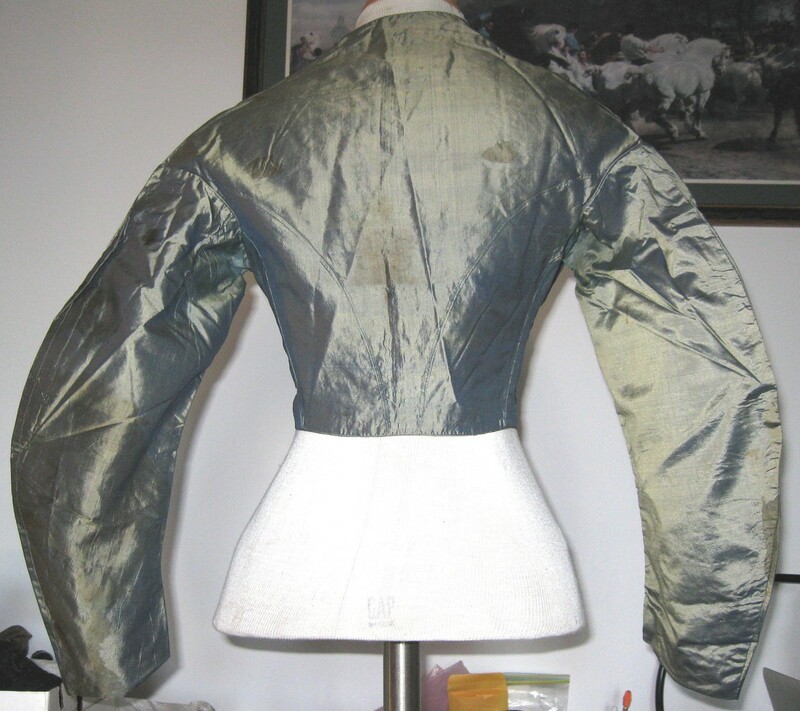 The sleeves are very much 1860's and it has yet to get to the higher waistline associated with the late 1860's outfits.